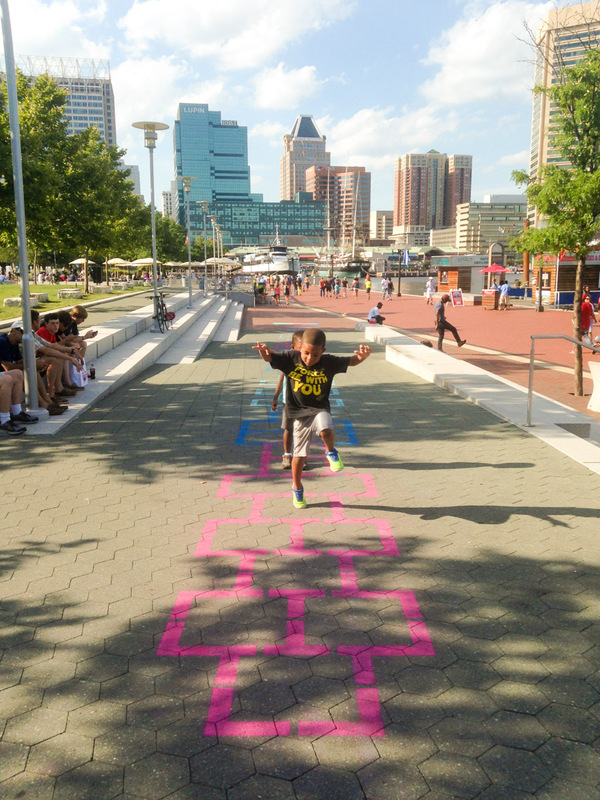 All are invited to jump the Harbor Hopscotch from now through the end of summer! 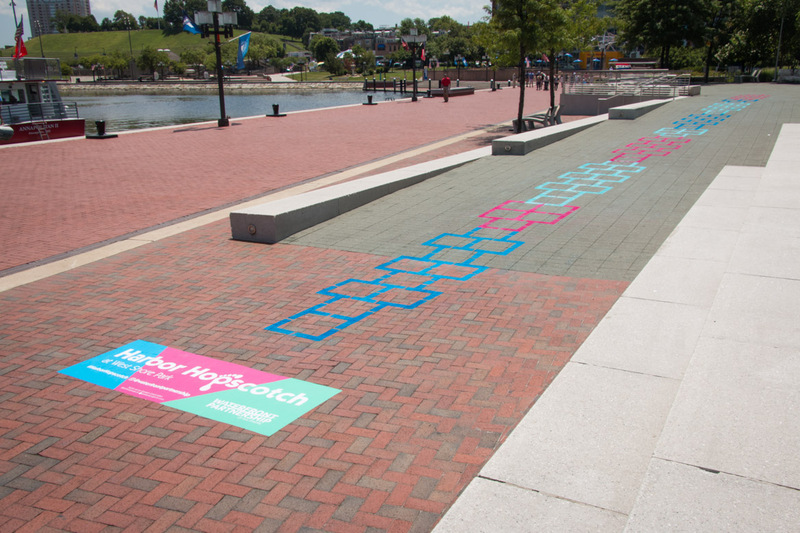 Harbor Hopscotch is a 103’ long, colorful hopscotch court playfully activating a ramp entrance to West Shore Park at Baltimore’s Inner Harbor. The temporary installation of teal, electric blue, and fuchsia colored spray chalk was commissioned by the Waterfront Partnership of Baltimore to bring more people into the south end of this prominent public space. Pedestrians strolling on the Inner Harbor Promenade are met with a large project ground graphic inviting them to hop up the ramp leading into West Shore Park. The graphic also encourages participants to share pictures of each other jumping using the hashtag #HarborHopscotch and @waterfrontpartnership. Click here for more pictures of this epic court of pedestrian hopscotch play!